You’ve probably encountered this scenario before: Someone wants to show you a picture on their camera roll, but cautions that they just want to make sure there’s nothing unfit for public consumption in their gallery. Or maybe they didn’t exercise caution and you caught a glimpse of something you shouldn’t have. Either way, Microsoft wants to remove the risk entirely, with a new app out of its Research department called Xim. 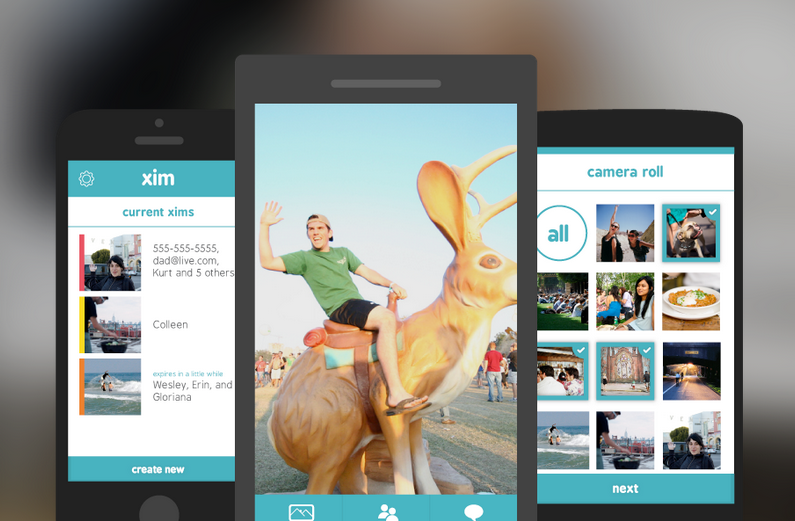 The Xim app is available for Windows Phone, iOS, and Android for free today, and lets you share photos to other devices without logins, and without requiring all participants to actually have the app itself. All you need to do is download the app, choose participants from your address book, or by entering their email or phone number, and start sharing. Anyone else given access to the Xim will receive a link, and they can view the shared photos on the web, or in the app itself if they have it installed on their device. Users have complete control over what photos are shared, and this can work either when you’re together in a room with the people you want to share with, or remotely among people separated by great distances. Others with the app can add photos to Xims, and everyone’s screen gets synced up so you’re all looking at the same thing at the same time. There’s also a feature for adding brief text messages to any picture. It looks like a genuinely useful piece of software that solves a real issue people encounter every day. It’s lightweight, without much to distract from its basic features, and images expire after a brief period, so you don’t have to worry about the pics eating up storage or floating around. A free, cool thing that makes life easier? More of this, please, Microsoft.